Heading The convenient and effective way to quickly stop bleeding. Directions Moisten tip of pencil with water. Apply to affected area. Rinse and dry pencil after use. 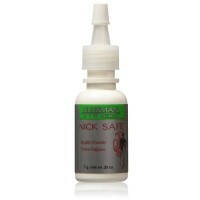 Uses Stops bleeding caused by minor surface cuts and abrasions as may occur during shaving. 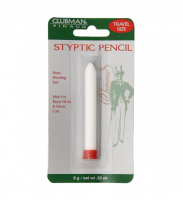 The No Nix Styptic Pencil is the convenient and effective way to quickly stop bleeding from razor nicks and other minor cuts on face, legs and other parts of the body. No unsightly bandages. Sanitary vial is handy for traveling. For men or ladies. Warnings For external use only. Do not use in or around the eyes, or other sensitive areas. KEEP OUT OF THE REACH OF CHILDREN.